So Instagram introduced a version of private messaging on Thursday morning, allowing users to send photos to only one or a few of their followers at a time. And it’s a fine decision. Communication between Instagram users to date has been limited mainly to proxy networks. This knits the service together more cohesively. But more than that, it heightens the continuing battle with another popular social network: Twitter. And Twitter should be worried. Consider the similarities: Both Twitter and Instagram are based on blasting out a wide distribution of content to a public follower network. Both now allow users to send media privately on a one-to-one basis. And Twitter is looking much more like Instagram lately, shifting toward full in-line photos inside users’ Twitter streams (though users can still choose solely to communicate via text). Both are trying to be, in a nutshell, the premier public media-sharing service on the Internet. And make no mistake: Twitter may have 232 million monthly active users, but Instagram is big. The photo-sharing service has garnered more than 150 million monthly active users in half the time Twitter has existed. 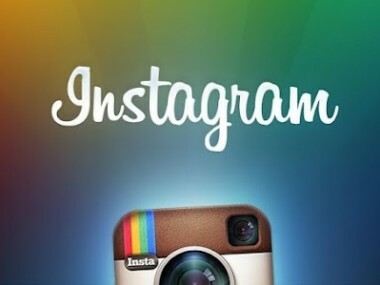 And more than 50 percent of Instagram’s users return to the service on a daily basis. That’s got to be unsettling for Twitter. The curveball in all of this, however, has been the rise of private messaging over the past few years. While Twitter and Instagram rose to prominence based on the premise of being public, both companies realize that the general public has room for forms of both public and private online expression, rather than one over the other. And if not given the choice to share and communicate privately within a network, users will go elsewhere to find it. Hence, the rising popularity of apps like WhatsApp and other messaging services. It wouldn’t surprise me to see Twitter pull similar moves in the coming months, likely with the addition of group photo messaging or perhaps Vine videos inside direct messages. It would almost have to, to stay at table stakes with its most direct competitor. The question is this: If Instagram and Twitter ultimately look, act and feel the same, which app will the next generation of social media newcomers choose?